7" High x 22" Wide x 22" Proj. 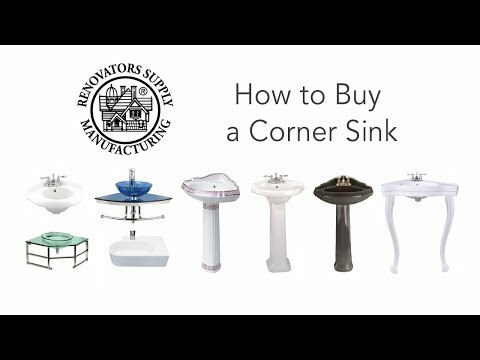 This "Portsmouth" wall mount corner sink from Renovator's Supply is a compact sink designed with space conservation in mind. 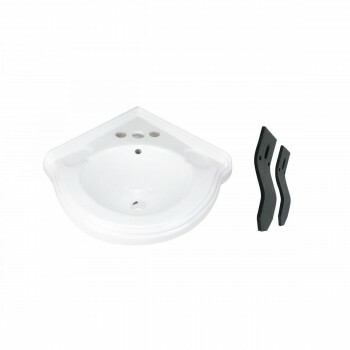 This corner sink is ideal for maximizing space in a crowded bathroom. 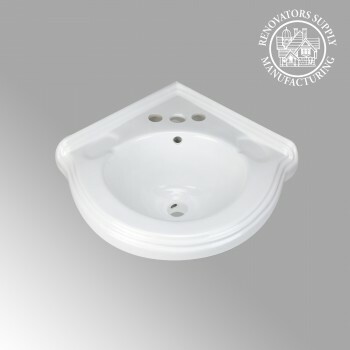 Features: - Beautiful, durable and easy to clean sink constructed from grade A vitreous china. - Finished withRenovator's Supply's proprietary Reno-Gloss coating for stain and scratch resistance. - Ergonomic design principles mean this sink slots into your corner to take up very little space while remaining comfortable. - Modern yet classic plumbing design sensibilities bring a touch of elegance to your bathroom. Other Details: - Installation Style of Corner Wall Mount Features Authentic Renovator's Supply Logo.